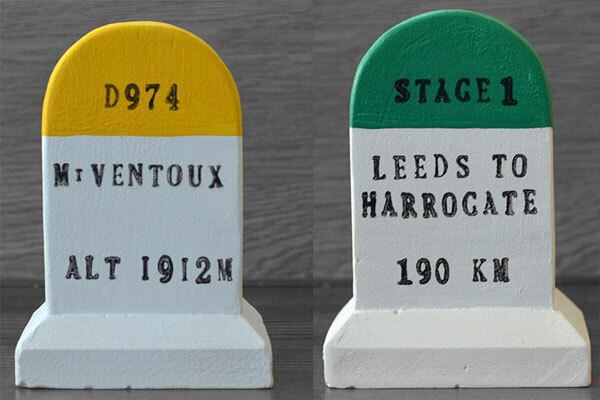 Yorkshire company Summit Finish has produced a range of miniature French climb kilometre markers. And if you’ve got the room, they are also offering full size replicas. The miniature markers are available in two sizes – 10cm and 20cm – and are made from plaster of Paris and then hand-painted. A range of replicas are available, including commemorating the stages of the 2014 Tour de France in Yorkshire. The full size markers are manufactured from concrete, and then hand-finished and can be placed outside or inside. If you have the room and an understanding family. Summit Finish offer a bespoke service, so you can have your marker made up with any location, or include your name if you wish. 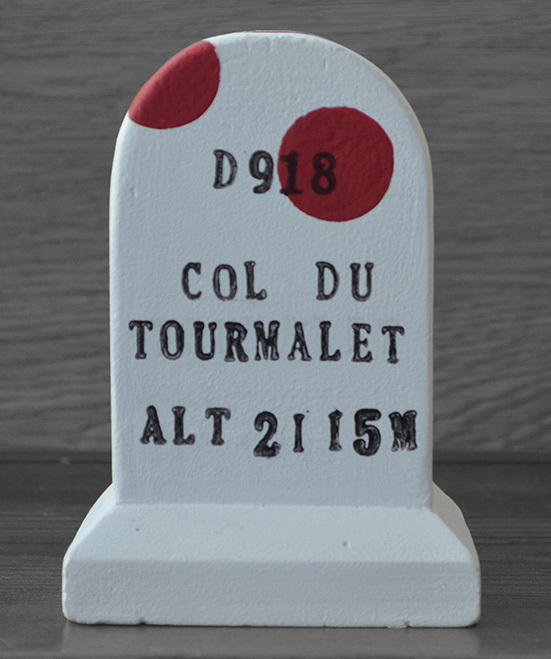 Miniature markers cost £13, with a full-size version of the Mont Ventoux marker priced at £96. You can contact the company via email to get a quote on any bespoke marker.